Bone broth has been promoted as a powerful health elixir, with suggestive benefits to bone support, digestive promotion, and muscle growth. But the list does not stop there, as the broth has been suggestive to encourage anti-aging effects and skin health. So how may its internal intake contribute to external skin benefits? Collagen is a protein offering the body structure, primarily in the bones, muscles, tendons. It further plays a role in skin strengthening and formation, further providing elasticity and is required to replace and restore dead skin cells. Around the age of 40, collagen production is noted to naturally reduce, ultimately causing those notorious skin wrinkles. 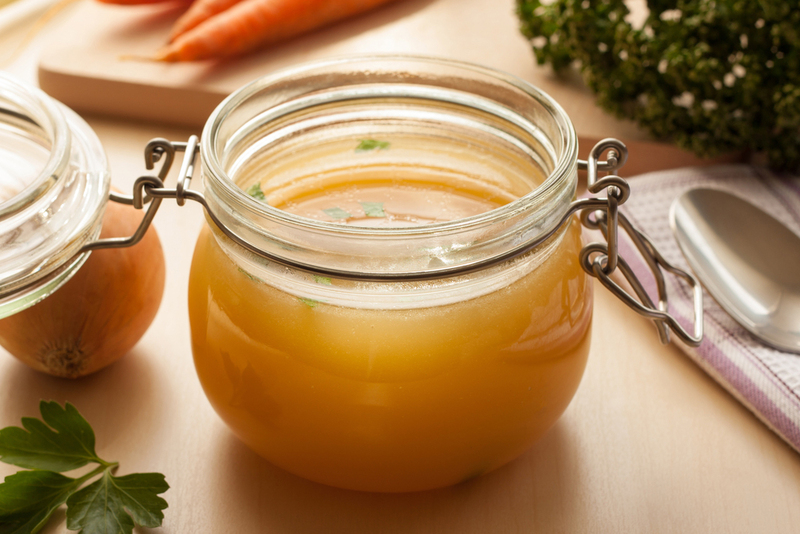 The intake of bone broth is suggested to reduce age-related skin wrinkles developed overtime. Largely in the form of minerals, antioxidants in bone broth may demonstrate the power to fight against aging. Antioxidants help protect the body from damaging free radicals, harmful compounds mostly originating from environmental toxins or from a poor diet. When the body’s cells are protected, the risk of premature skin aging is lessened, including the appearance of wrinkles. 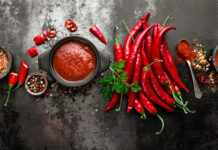 Antioxidants are also shown to be brain-protective, reducing the threat of brain deterioration and weakening largely linked to Alzheimer’s disease and dementia. Being mostly comprised of water, consuming bone broth can offer hydrating properties to the skin. When the body’s cells and organs are offered water, they can function properly and optimize to their greatest ability. And with skin being 64 percent water, keeping it hydrated reduces the risk of dry, flaky skin. Though we tend to eat for physical health, eating for the brain should not go unnoticed. 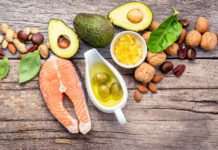 A well-balanced diet filled with whole grains, fresh produce, lean protein and fish, nuts and seeds, and dairy products naturally offer the anti-aging nutrients the body yearns for. As a general rule, reduce processed foods loaded with sugars and unhealthy fats! Aerobic exercise is known for helping to improve blood flow, including to the brain, while strength-training can support lean body mass. Improved blood flow paired with a healthy, lean body weight enhances anti-aging results and benefits. Keep the brain energized and young by stimulating it with exercises and activities, including reading, puzzles, and crafts. 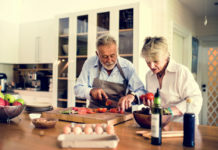 Doing so has shown to support nerve cells with the potential to produce new ones, fighting back against brain cell loss that generally trails with age. From heart disease to diabetes, managing disease is imperative to both initial and long-term health. Uncontrolled blood pressure and sugars can speed up the aging process while taking off precious years of life. Get a grip on disease-associated levels now to enjoy a richer, healthier life later!